Researchers are racing to make this science-fiction idea a reality. "It's going to be the world's first experiment to test elevator movement in space," a spokesman from the university told Agence France-Presse. Of course, making a suitable tether is just one hurdle that must be overcome. Another is space debris — bits and pieces of rockets and spacecraft that orbit Earth and could damage or destroy a space elevator if they smash into it. “Avoiding space debris is not like playing dodgeball,” says Michael Fitzgerald, director and chair for architectures at ISEC. “There isn’t a member of our team that doesn’t wonder about the problem,” he adds. Scientists remain optimistic, however. "With proper knowledge and good operational procedures, the threat of space debris is not a show-stopper by any means,” Swan said. And efforts are now underway to find ways to reduce the amount of space debris, which includes more than 500,000 pieces of junk that are now being tracked by the Defense Department. 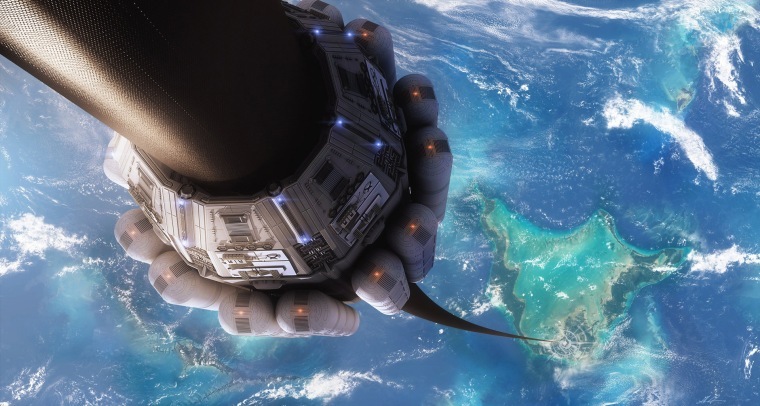 Later this year, members of ISEC will meet with U.S. military and trade officials to discuss how space elevator trips could be carefully planned to avoid orbiting debris.